Hundreds of thousands of children never go to the dentist, making tooth decay the most common childhood disease, five times more common than asthma. By the time they are adults, they have extensive oral health problems and no sense of what it means to take care of their teeth. "There was no cathartic moment," says Dr. Caplin of his decision to begin the Oral Health Impact Project (OHIP), which provides comprehensive dental care to at-risk students in more than 200 public schools in Pennsylvania and Massachusetts. "It was just something that grew out of my work in the juvenile justice system." 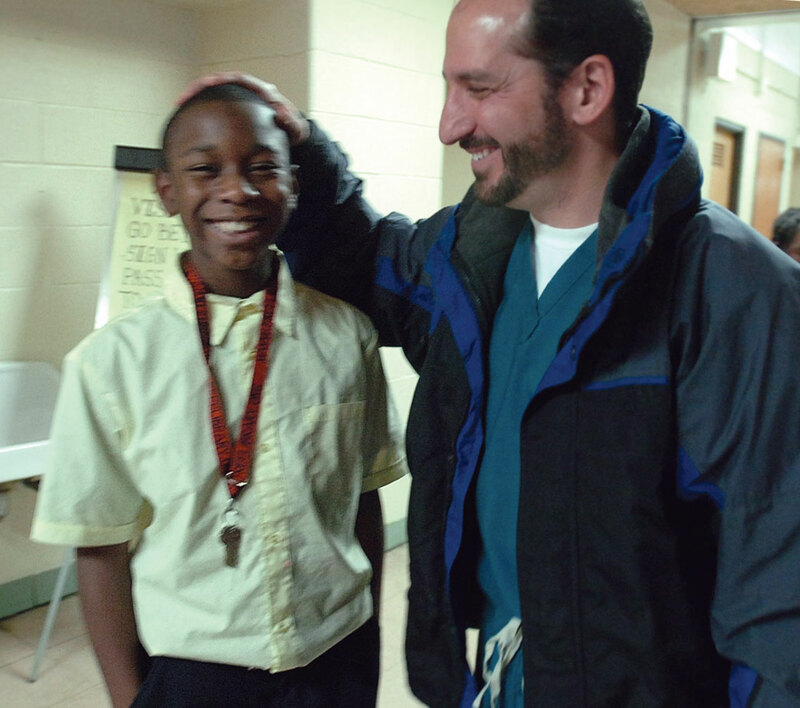 As founder and CEO of Dentrust Dental, one of the largest nationwide corporations that provides dental care for governmental institutions such as correctional facilities, juvenile centers, foster care, and the U.S. military, Caplin saw first-hand how desperate children and adults were for even the most basic dental care. By providing dental care to the children while they are in school and by incorporating dental health into their curriculum, Dr. Caplin hopes to spread healthy practices throughout communities. When they enter a school, the OHIP dentists are ready to tackle a wide range of dental issues, ranging from routine cleaning to x-rays and root canals. Since most of the children have never been to the dentist, they do not have preconceptions of what going to the dentist entails. The children also benefit from having the experience in their school, a place where they are comfortable and surrounded by familiar people. "The kids are the easy part," says Caplin. "They are literally lining up to be next. There is no fear. They have never been to the dentist before. The difficulty is getting parents to sign the consent forms. Those children who need the most care are the ones whose parents are disengaged from the child's life." Providing oral health care to lower income children is only one part of the OHIP mission. Caplin also wants these children to think of dentistry as a legitimate career option. "If they never go to see a dentist, how would they ever consider being a dentist?" Caplin asks. "But if we give them a positive experience and teach them about the many different aspects of dental health, then they think of it as something they can do." To further this goal, Caplin is working with the Philadelphia School District to create a high school-level Oral Health Academy where students will be exposed to all aspects of the oral health industry, from medical sales to dentistry. Also, they will have mentorships with dental school students and take advanced science courses on college campuses. Caplin says, "When they graduate from high school they will have a dental assistant certificate, which is a $15-to-$16-an-hour job right out of high school. This is a wonderful opportunity for children in low-income areas to have an income while furthering their education." Caplin, with his wife Kelli, has created Caplin Family Charities (www.cfcharities.org). This is a not-for-profit that is committed to transforming the lives of youth through access to oral healthcare and awareness of careers in oral health. CF Charities is establishing scholarships for the children who complete the Oral Health Academy to support their college and graduate education. Children who utilize these scholarships will be required to provide services in public health dentistry as repayment for this support. For Caplin, being a dentist has evolved from more than just working on people's teeth. It has become a way to uplift a community, one person at a time. A sense of community was something he learned a great deal about when the young Jewish Philadelphia boy enrolled as a freshman at Hampden-Sydney. "When my parents and I got to campus, we went to Venable, where I was going to be living, and the door was locked. We couldn't get in. Another freshman came along and saw that we couldn't get in the building, so he climbed up on the porch of Stagger Inn, climbed in through a window, and unlocked the door for us. Then he helped me and my parents move my things into my room. That's when I realized I wasn't in Philadelphia anymore; somebody was climbing in a window to move my things in-not take them out." Dr. Caplin was also impressed with the close-knit nature of the College when in the first two weeks then-President Si Bunting sat down to have breakfast with him in the Commons. "Somehow, President Bunting managed to remember the name of every entering freshman, at least in my experience. One morning he came up to me at breakfast and said, 'Larry, can I join you for breakfast?' It turns out one of the schools in his past had been in the Philly area, so we talked about Flyers hockey and other things. After that he went back to his office and handwrote a letter to my parents telling them that we had talked and that he thought I was adjusting well to college. The president of the College hand-wrote a letter to my parents. You just don't get that kind of thing anywhere else." As his college career continued, Caplin continued to capitalize on Hampden-Sydney's unique nature. "I was a biology and biochemistry double-major. No one had ever majored in biochemistry before, but that's one of the beauties of Hampden-Sydney. I said I wanted to do it and the faculty worked with me to get it done." Caplin has taken this individualized approach and applied it to Dentrust and OHIP, regardless of whether it is to develop a new system for a governmental agency or the treatment of a single child. He and his staff teams talk through the process with each child and address any apprehensions he or she might have. By giving a positive experience to each child, Caplin believes he can affect a community. "We have seen a change in the dental health of these children, as well as improvements in their overall health. Now their parents are getting more involved in the health of their children. The numbers of children parents enroll in the program the second year we are in a school is often three times that of the year before, and the parents are increasing their own use of dentistry. This is something they wouldn't have done two years ago." Dentistry was not always in Caplin's plan. Originally he considered orthopedics, until an orthopedist talked him out of it. "Then I wanted to pursue facial reconstruction; the best of these surgeons usually go to dental school and then medical school, so I went to the University of Pennsylvania. By the time I had finished dental school, I was ready to stop going to school and to start making some money. I had paid my own way through Hampden-Sydney and was a bartender during dental school for the same purpose. After working in a group practice for a few months, I knew I needed to work for myself and to craft my own solutions to problems. That's when I started Dentrust Dental." Thanks to the 19-year success of Dentrust, Caplin has been able to launch OHIP's Oral Health Academy. Now he plans on growing that program. "One of the great things about this model is that it can be ported to other forms of healthcare. We are taking OHIP to other cities around the country. One interaction at a time, one family at a time, one community at a time, we can improve the health and well-being of this country. 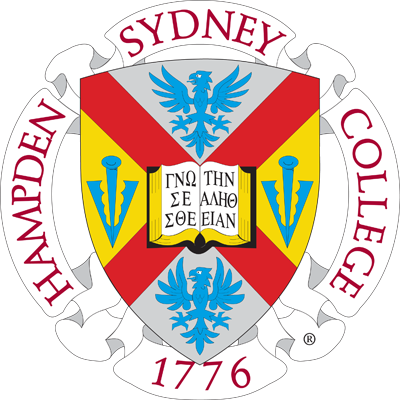 A lot of what I have accomplished, I got from Hampden-Sydney College-how to interact with people from all walks of life is immensely important as well as a sense of community and an obligation to support that community regardless of how large or small."